Today’s post continues my long series in land healing (see earlier posts 1, 2, 3, 4, 5, and 6), and given the heaviness of the last few weeks of posts, today, I wanted to delve into how to do this healing work and to stay happy, healthy, and sane. Today, I want to explore and voice some of these mental health concerns and share strategies for coping, addressing, and action. And so, in this post, we’ll look first at some challenges to help us frame these overall issues, including the concept of solstalgia, and then we’ll explore a wide range of ways that we can engage in self-care on these issues: Having the tools and cultivating hope, supporting our adrenals and physical bodies with plants, supporting our souls with healing retreats and escapes, daily protective workings, working with the energies of light and life, bardic acts of expression, visiting well-tended places, and talking with it and more. And so, off we go! There is good cause to talk about the subject of mental health and self care in regards to the work of land healing–as I shared a bit last week, research is emerging on the mental health implications of living in a rapidly depleting and crumbling world. And that research is only scratching the surface, really, of what people who are spiritually aware of these things and deeply connected with the land really experience! I recently came across a psychological theory–solstalgia–that sheds great light onto today’s subject, so I’ll share it here. Nostalgia is, in the psychological sense, what happens to people who are distant from home and long to return–this often occurs with people who were refugees or other people forced to leave their homes for various reasons (no work, etc). Solstalgia, which was proposed by Albrecht and colleagues in 2007, is a similar phenomenon, and describes the stress and mental health issues that people face when experiencing first-hand devastation of their home lands. Through a series of focus groups, interviews, and surveys, they explored how a rural population experienced massive surface mining operations and extreme drought; people who live among and experience large-scale environmental destruction had a range of negative emotions, a disconnection to their sense of place and belonging, descriptions of extreme duress, and a strong sense of powerlessness. This “environmentally induced stress” was particularly difficult to manage because it happened in one’s home environment, every day, and escaping it meant leaving home. They described these chronic stressors as “generally not seen” by mental health professionals or researchers. Although this term was proposed in 2007, it hasn’t gained much traction in the time since: and I think that’s a problem. The longer that we pretend this stuff doesn’t affect us, the more problematic it becomes. I find this concept really useful to explain some of what I’ve been personally experiencing since returning to PA, and I wonder how it plays out not just in the short term, but over time. 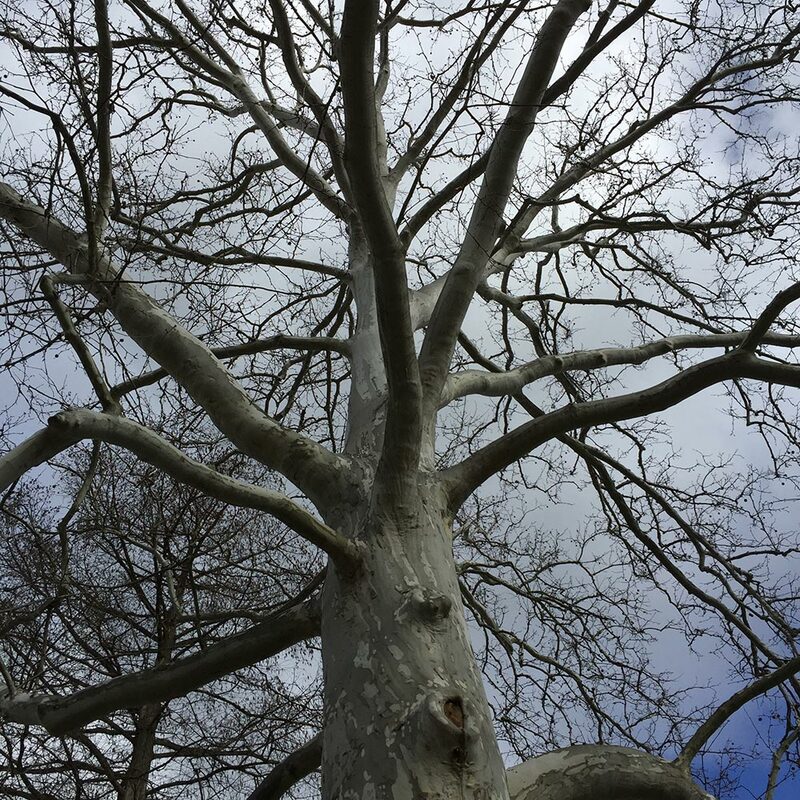 As an herbalist, I know that short-term stressors can give way to long-term adrenal fatigue, and eventually, adrenal burnout, where a person is in a chronic state of prolonged stress that causes depression, apathy, lack of energy, and general ill health. I sometimes wonder if that’s what is going on here, when people have been living for so long in this chronically stressed state. 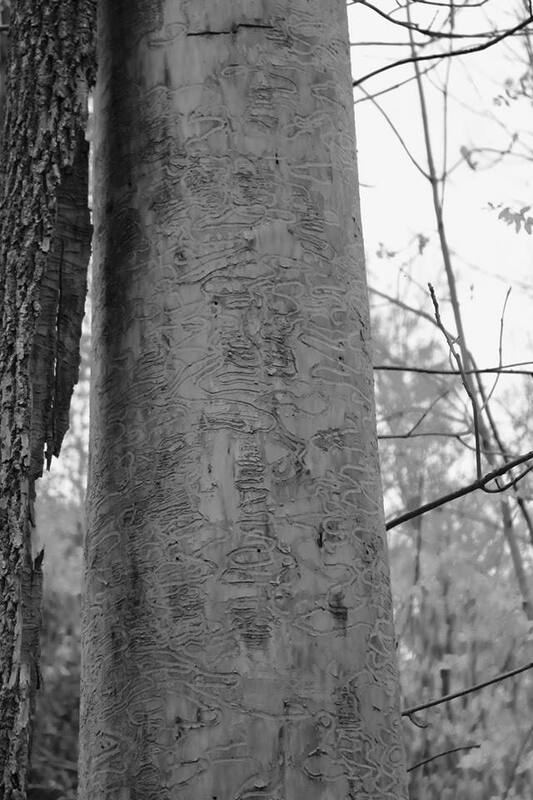 And I think its important to realize that even if people aren’t as aware of the specific ecological consequences, this stuff is hard to avoid seeing. These implications are there, I have found, whether or not you are awake and paying attention to what is happening. All of us, on some level, know things are changing and each of us have to find our own way through it. For many, its, as I wrote about two weeks ago, ignoring it and choosing not to see. Its a self-preservation response to avoid even more stress.I think when you begin to open your eyes, however, and really confront this stuff through land healing, there’s a different kind of level of awareness that takes place. In choosing to see, you also choose to experience. Some of that pain and suffering, invariably, goes within is, and if we aren’t careful, gets lodged there. And so, for the remainder of the post, let’s explore some of those self-care strategies that can really help land healers along! Oats / Milky Oats (Avena Sativa): Oats are a gentle, powerful herb and a fantastic restorative, particularly for stabilizing and rebuilding the nervous system. Any oats are tonic and nurturing, but milky oats are most so. 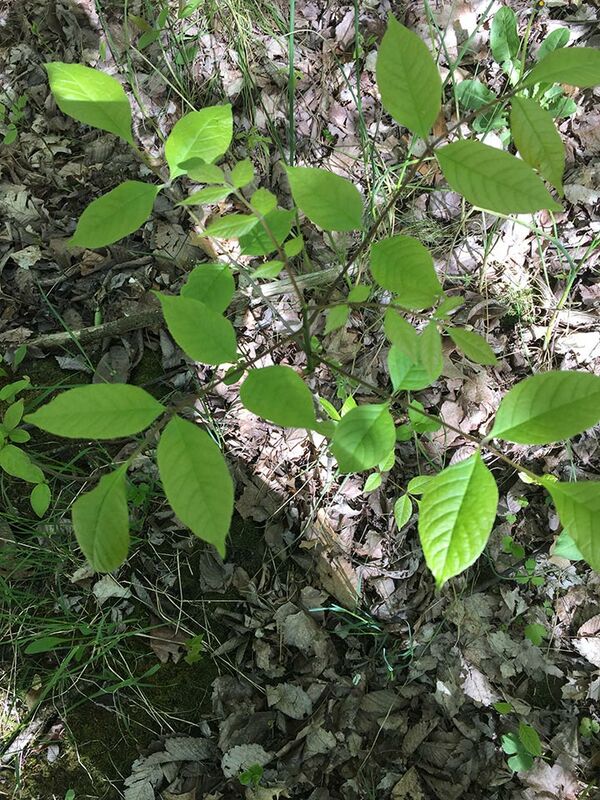 Jim McDonald writes in his Nettles, Oats and You: “Regular usage builds up both the structure and function of nervous and adrenal tissue, resulting in a lasting strengthening effect. It is especially well suited to nervous exhaustion due to debilitative nervous system disorders, overwork (mental or physical), drug abuse, or trauma and should be used during nay period of prolonged stress.” Even a bowl of oatmeal can be restorative in this way–and taking oatstraw or milky oats is all the better! 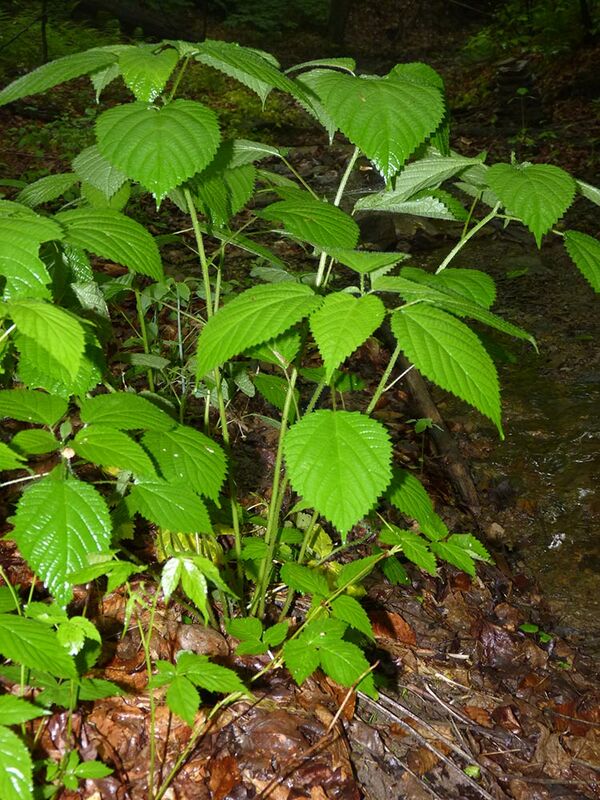 Lemon Balm (Melissa Officinalis): Helps us recover from nervous exhaustion, insomnia, or low spirits. Has a gentle and powerful effect on the central nervous system over time. I find lemon balm a fantastic tea for after land healing work! Stinging Nettles (Urtica Dioca): Stinging nettle is a first-rate adaptogen (herb that helps us adapt to stress) that restores depleted or exhausted adrenal gland. One of the many things they do is shift our bodies from “adrenal mode” (sympathetic nervous system) to a parasympathetic nervous system state. Jim McDonald writes in Nettles, Oats, and You, “I consider it, along with Burdock, one of the most universally beneficial herbs to use as a basis for restoring and maintaining well being.” Nettle seeds and nettle leaf should be taken consistently, long term. Nettle seeds work a little different than the leaf–the seeds provide stable energy, while the leaf I find is more rebuilding. Yes, they sting–use gloves when you harvest them, and as soon as you cook them even a little, they stop stinging :). They are well worth having a patch in your garden or yard! I have these every day as part of my stress management regimen! There are many more healing plants for rebuilding the adrenals and reducing stress. Others include astralagus, ashwaghanda, schizandra, elethro root, wood betony, skullcap, ginseng, blue vervain, passionflower, holy basil, and reishi. (I’ll also mention that my sister and I are in the process of starting a herbal healing blog, so I’ll be posting much more on this subject there and will let you know when I do!). Another important thing that you can do is get a way from it all, to have a healing retreat and space away from everything else. This needs to be a place that is free of the damage you are seeking to heal as a land healer and from other common stressors. A small spot in a protected state forest, a small garden in your back yard, a camping retreat, a quite spot in a park–somewhere that you can go and simply enjoy being in nature, in its regenerated state. This stuff can wear and grate on you, and you need respite from it. I think that’s part of why this concept of solstalgia is so useful to think through–the reason its so bad is that you can’t get away from it, and once you are conscious you need to do so, you can seek ways of responding. A daily protective magical working is critical to helping you maintain your balance as a land healer or simply as a person, awake and alive, in today’s times. Most modern estoteric traditions offer some kind of protective working. The primary one that I use comes from the AODA, which is called the Sphere of Protection. I really love this ritual–it takes about 5 minutes a day, and it does a number of key things: invoking positive qualities of the elements, banishing negative qualities of the elements, connecting to the three currents, and creating a sphere of protection around the physical, etheric, and astral body. I wrote about it more extensively for our first issue of Trilithon, which is now available freely online here. 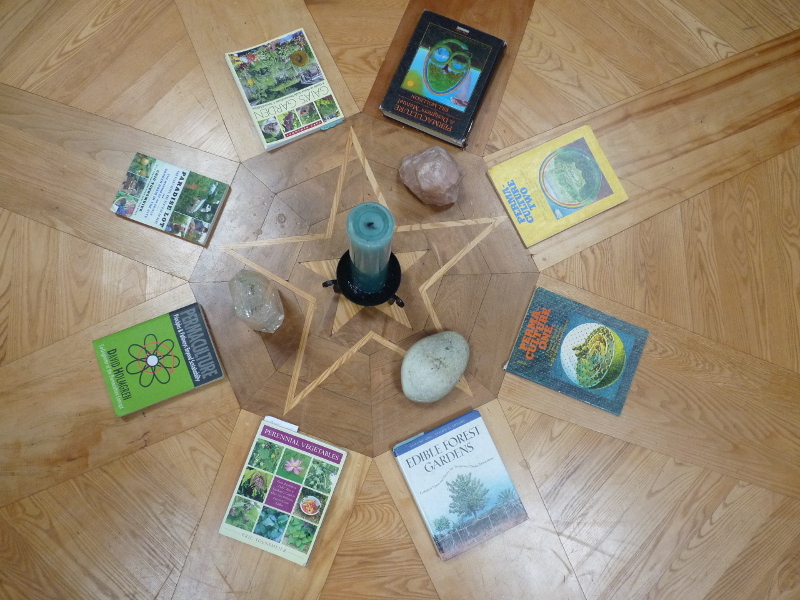 Its a ritual that takes some time to learn; the best place to learn it is in either of John Michael Greer’s books: The Druidry Handbook or The Druid Magic Handbook. I can give a brief synopsis of it here, however. using language, action, and visualization. The final part of the SOP draws upon these seven energies and circulates light in a protective sphere. This protective sphere is most typically placed around a person. If the SOP doesn’t float your boat, you can do other kinds of rituals. A good one is the Summoning or Banishing Ritual of the Pentagram (you want to alternate between summoning and banishing in order to achieve balance in your life). Be aware that not all daily rituals that druid orders offer are protective: OBOD’s light body exercise is a rejuvenating and energizing ritual, and is extremely useful in its own right, but it is not protective in nature. I like to use it in conjunction with the SOP or when I’m doing other kinds of work, but I don’t depend on it to keep the gunk off of me as I go throughout my daily living! 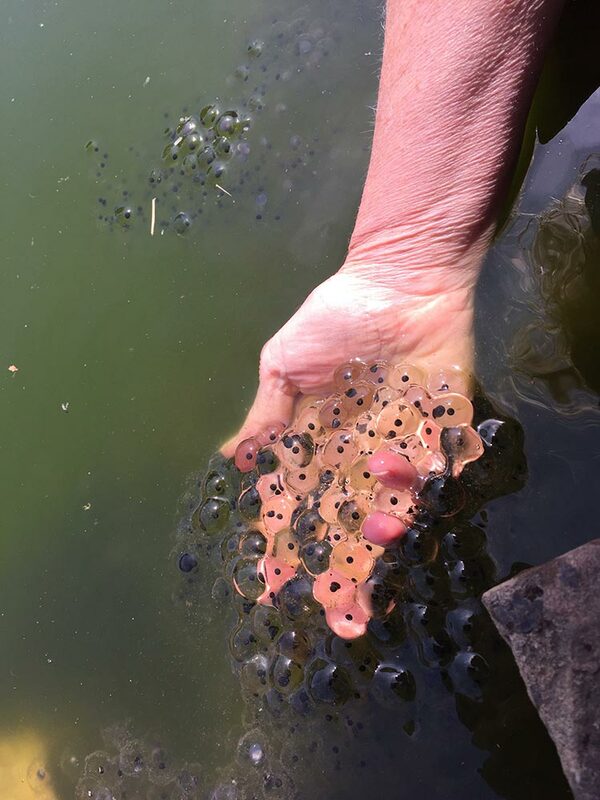 A fantastic example of the energies of life and light–frog eggs from my parents’ pond that I saw the last time I visited them. I am so excited to meet them when they emerge! One of the other things that’s important to keep in mind is the balance of life and death, of light and darkness. We have both in our lives, and certainly, if you are doing land healing work (particularly the kind I talked about last week) you will see your fair share of pain and darkness. You can’t be doing the hard work of palliative care, working wit sites that will be destroyed and other forms of land healing constantly or it will fatigue you. It’s important that you go to the spaces that are abundant, and alive, and rejuvenate your energies there. It’s important that you take frequent breaks from this work to balance your energies. I think its easy to fall into the trap of seeing everything as destroyed or damaged–and depending where you live, the balance of those things may be off–but there are always places where it isn’t so. Even focusing on the dandelions growing up out of the sidewalk, rejuvenating compacted soil and bringing the blessings of healing medicine, is so important! Embrace the magic of the spring, of the seed and of the promise of rebirth and life. Grow some sprouts or start some seeds. Keep a garden. Bring in light into your physical home and life–open the windows, embrace the sun. If you work with deities, make sure you work with some that focus on life and living. If you do yearly celebrations, you do all of them, and use the spring holidays for your own healing and rejuvenation. 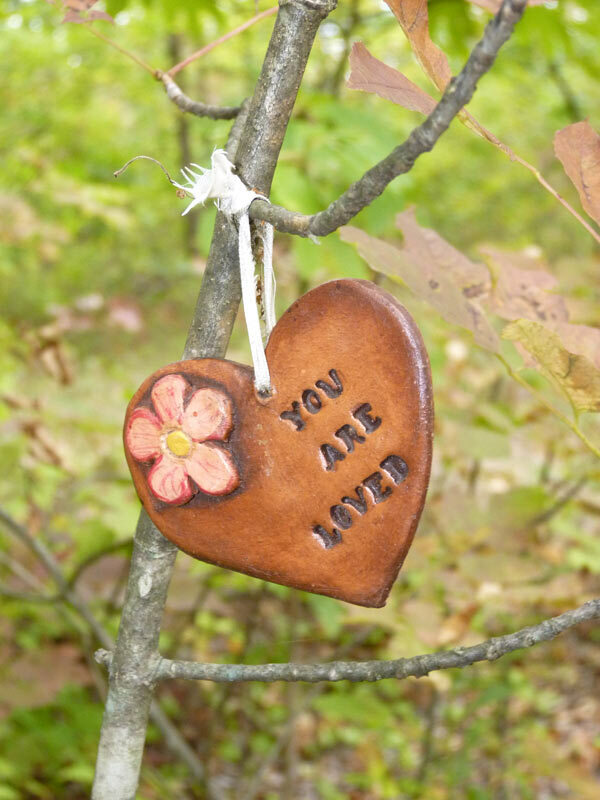 Of course, spending time cultivating your own creative gifts can be a source of healing energy and life–and is a critical balance for you if you are engaging in difficult healing work. 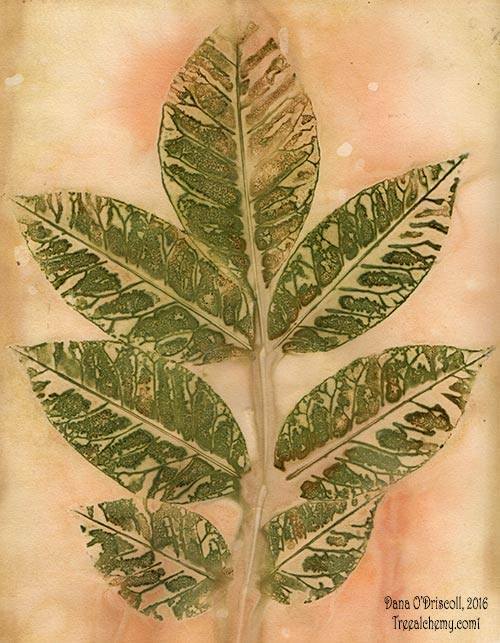 I especially like to do this through my painting and ecoprinting work–I like to bring in the energies of life and light, and paint them in ways that help others embrace the energies of the earth. I wrote about this much more extensively on my post on permaclture and self care. 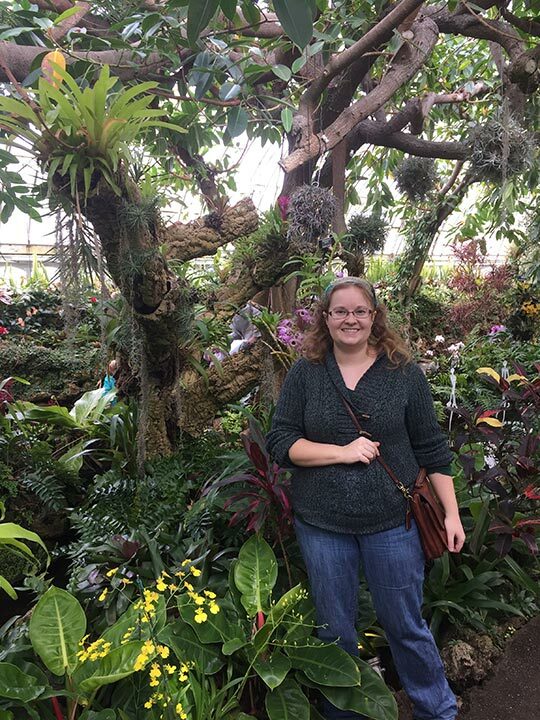 Me on a winter trip to Phipps Conservatory in Pittsburgh, PA. This whimsical space is in the middle of their orchid room! Another excellent balance for this more difficult land healing work is to spend time visiting places where humans are cultivating the land carefully, meaningfully, and with love. This is another way to bring light and life back into your life and help drive away the darkness. Any small organic family farm often fits this bill, as do places like botanical gardens, nature sanctuaries, retreat centers, botanical sanctuaries, permaculure design sites, and more. Time spent here, even a few hours, can really help you remember that lots of good people are doing good healing work in the world, and helping keep the scales balanced. Being in the mindest of hope and having the tools is another especially important part of this self care practice. I think that a lot of us feel powerless, disempowered, hopeless, and that is the worst thing. That kind of thinking leads down a dark path that you do not want to walk. Instead, I encourage you to focus on the power of hope even as you go about healing the destruction of others. A personal example, here, might best illustrate this point. As I frequently write on this blog, my primary way forward has been through my integration of many sustaining and regenerative practices that fall under my path of druidry: permaculture design, wildcrafting and wildtending, land healing, herbalism, ritual and celebration, inhabiting the world gently, and more. I have found that the more I focus on the good I can do, the better I feel. I think I was at my lowest with this stuff around 2008-2010, before I discovered and began practicing permaculture and herbalism. As a druid that had been waking up and paying attention for a few years at that point, I was hit with the enormity of it all, but I had lacked the tools for change, lacked a lot of the healing approaches of any kind (physical or spiritual). And so, instead, I kind of brooded on it, thought about it a lot, sat with it, but didn’t know what to do. I think my original edition of the Tarot of Trees book really reflects that state of mind: I wrote an introduction that was kind of demoralizing and talking about what was happening like a giant wave that nobody could stop–I was painting the trees in honor of the ones that had been cut. Consequently, when I re-released the Tarot of Trees 3rd edition eariler this year, I created a new card called “regeneration” and rewrote a good deal of the opening of the book to reflect that hope and renewed perspective. 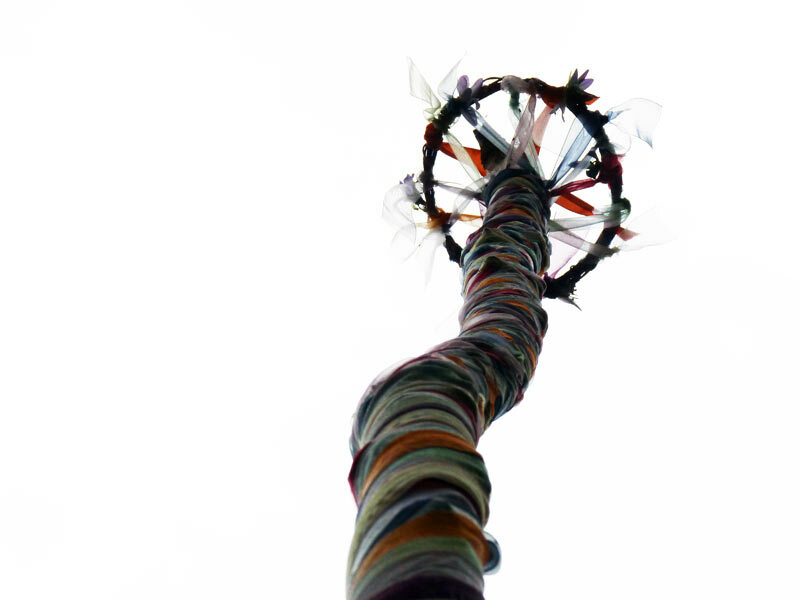 I give this example because the difference in what I wrote, and how I thought, had everything to do with the empowering tools of hope–and I found those tools through integrating my spiritual practice of druidry with the practical tools of permaculture. I was now doing something, something that was making a difference, and that was incredibly important. Melancholia strikes us all at times about this stuff–but its about not staying in that space that can help us keep moving forward. Ultimately, a lot of what I share on this blog is response to all of this–the power of doing something. I talked about the implications of doing something in my post earlier this year, on making a difference, and how its the act of trying, of exerting effort, that really is key for our own growth. It heals us, it heals our lands, and it helps, I believe, brighten our very souls. My solution to the solastalgia, to the destruction, is to do what I can to build a better today and a brighter tomorrow and to equip myself with the best tools to do so: the esoteric and spiritual practices of druidry, the knowledge and ethics of permaulcture, and a smattering of other good stuff: ecology, herbalism, natural building, playing in the mud, painting trees, community activism, and more. I hope you’ll continue with me on this journey–because more land healing posts–and a lot of other things–are to follow! As a species, we are facing a number of challenges that can be overwhelming—from global climate change to failing ecosystems, to mass deforestation and substantial water stress. Many who care deeply about the earth, who see the earth as sacred, finds themselves in a state of perpetual mourning and apparent powerlessness when reading the headlines or seeing destruction firsthand. The sense of being overwhelmed can be stifling, limiting, leaving you unsure as to how to do anything but strongly wanting to do something. It can leave you feeling that nothing that you do is good enough and nothing that you do as an individual matters. Sustainability as a concept, I am realizing, is also problematic. (I’ve been using this word myself, but am now transitioning away from it in favor of regeneration for reasons described in this post). Sustainability, which means a “capacity to endure” essentially seeks ways of sustaining what is there. This may mean to sustaining our current lifestyles and levels of consumption (or near similar lifestyles and levels of consumption) while also working to mitigate any further damage to the planet. Yet, the current lifestyle got us into this mess. Why do we want to sustain that? What are we really protecting when we are “sustainable?” Furthermore, it has become another term commonly used by companies to sell their products and services, rather than an ethic or principle for many. I’m not sure of the ethics that fuel sustainability–desire to do less harm? desire to protect and preserve? They are often not very well articulated. I’ve struggled with both environmentalism and sustainability as meaningful responses because they made me feel like something was missing. Being a better consumer of environmentally friendly goods, or my early attempts at sustainably, still made me feel not so great because I was mitigating problems. I’ve expressed that struggle quite a few times in posts over the years here, and I’m sure that so many of you share it—so the question is, what else is there? What it seems we really need—as a society and as individuals—are tools for being proactive and directly engaging in long-term regeneration: healing the land, healing the planet, healing ourselves, and rebuilding the sacred relationship between humans and nature. We need tools that go beyond the above approaches and into envisioning “what’s next?” or “what’s better?” So many of the structures of our daily lives don’t work: our homes require too much energy for heating and cooling; our waste is treated as waste; our landfills fill up with things that still have value; fresh water runs from the streets of our cities and into the sewer system; our bodies are pumped with poison and chemicals; and our landscapes are barren and toxic. We need tools that help us facilitate the deep work of healing our damaged lands, to re-evaluate and develop better ways of living, and in directly rectifying the damaged relationship we have with nature. We need an ethical system that is simple to teach and yet profound. We need tools to help us envision the future today–what will our next iteration of lower-to-no fossil fuel living look like? What if we could design for that now? What if we are the ones building what the next iteration of human living could look like? One set of tools to help us do this is permaculture design. Two Australian designers, Bill Mollison and David Holmgren, developed permaculture, or “permanent agriculture” in the height of the sustainable living movements of the 1970’s. Permaculture was developed in response to the growing awareness of the damage humans were causing and the dwindling resources of our planet. Permaculture is a design theory using a whole systems approach modeled in natural patterns; it is a set of ethics and principles that we can use to help us design anything from an outdoor landscape or organic garden to a workplace or a community of people. Millions of people around the world are using permaculture design to revitalize their relationship to the land, enrich their lives, and enhance their communities. To design effectively using permaculture ethics and principles, we must carefully asses, observe, interact, measure, study, and analyze the existing site before we can begin to consider change. The act of interaction, analysis, and observation prior to making change is in itself a powerful tool—it asks us to go from reaction to mindful and directed thought and action. What makes permaculture different than other things, like environmentalism? For two, permaculture gives a clear ethical system that actually makes a great deal of sense, and that can be directly applied to any design. Permaculture rests upon three primary ethical principles: people care, earth care, and fair share (which I covered in more detail earlier). A goal of any design is to address them all at the same time. We, therefore, design with the understanding that caring for the earth and caring for people are one in the same. Stop and think about that for a minute. The earth’s needs are equal with our own, and both can be satisfied with careful planning and analysis. Furthermore, also a matter of ethics, one of the things permaculture design can do—and do well—is to help us regenerate even the most damaged and poisoned of lands. In fact, many permaculture designers purposely select abused lands as these are the lands that can benefit the most and this is where they can do the most good. Permaculture can be learned by anyone (most of what you need is freely available online) or through books or courses. Despite its straightforward principles, yet it allows for a lifetime of study and practice. It can be applied to any site or community–from apartment living to rural farmlands. It puts the power into the hands of the individual and the community, rather in the hands of others. It also considers the role of the design in the larger ecosystem and community. Bill Mollison, one of the co-founders of permaculture, described four goals for landscape design: ecological as well as economic; repair and conserve all systems; provide a unique and essential service for the bioregion; and creating something inter-generational (considering current generations as well as future). So while economics is there, for something like the farm; so is repair of land, conservation, and considering the future. The actual design principles from permaculture are all rooted in nature (and some will be quite familiar to my readers, as I integrate them often into these posts). I have found these principles to be so useful that not only have I integrated them into my life in terms of my living and landscape, but I have used them extensively as themes for meditation and personal growth. Furthermore, the act of any designing work involves intentionality—something sorely lacking today. Many of permaculture design’s principles used in the natural landscape work to improve existing conditions: keyline design, for example, uses water catchment and keyline “plowing” to quickly build soil, sequester carbon, and effectively manage water. A multitude of techniques unfold from the principles and ethics. Does permaculture actually work? Yes, it really appears it does! Sites around the world demonstrate just how powerful this approach can be in multiple settings. I’ll share a few examples here from across the spectrum: from large-scale farming to community design to urban settings: permaculture can be applied effectively. Permaculture’s answer to traditional, large scale farming. Just over 40% of the available land in the USA is used for farming, over 95% using conventional agricultural methods (read: fossil fuels, GMOs, and poisons). Current industrial farming practices emphasize only thing: the amount of food grown for the plate (and hence, the profit of the farmer). The food is grown with absolutely no sense of earth share or fair share, and these practices essentially chemically shut down any natural processes that don’t immediately contribute to the crops and kill the life in the soil. US farms are currently losing topsoil at a rate of 3 cm per year (and topsoil is where life grows; where the nutrients are concentrated). As a comparison, permaculture thinks about the yields not only to ourselves but also to the land, how farmlands managed differently can also provide: pollen, nectar, and habitat are yields for pollinators, build rather than lose soil, and so on. A farm of this nature would still have plenty of growing capacity for human food production—but it would yield much more. A good example of a larger permaculture farm doing industrial-scale production is Mark Sheppard’s New Forest farm. Not only is Mark regenerating the land and creating soil, habitat, and encouraging biological diversity, he’s out-growing other industrial farms of his size (see his fascinating analysis in Restoration Agriculture). And the yields benefiting people from his farm include honey, wax, propolis, pastured pork, pastured beef, free range chicken, free range turkey, raspberries, blackberries, elderberries, hazelnuts, chestnuts, and more. 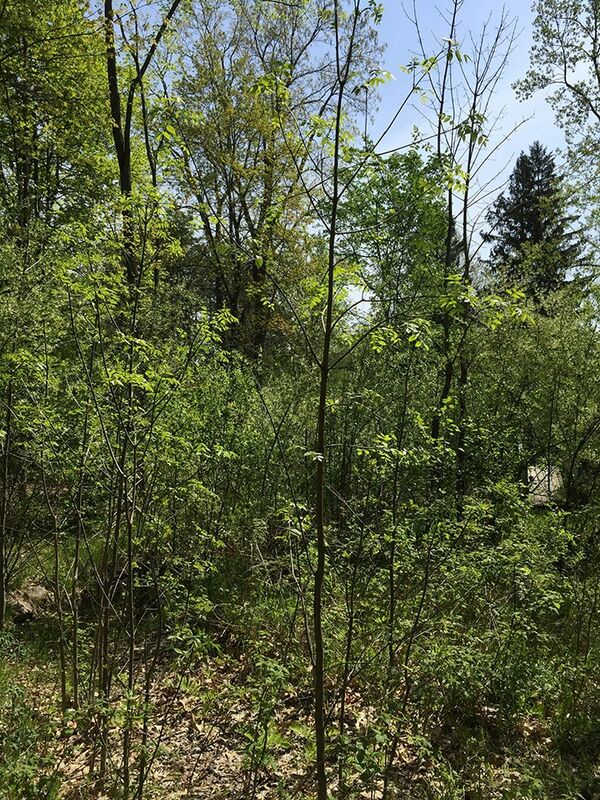 He shows how perennial treecrops can provide for many of the same caloric needs currently being filled by soy and corn—and they need to only be planted once, as opposed to every year. And, as he writes in his book, he could literally walk away from his farm today and it would still be producing a variety of crops in 1000 years. Now that’s regeneration! Urban backyard. On the other end of the spectrum from large-scale farming, so many examples exist of urban front and backyard designs using permaculture. One example is Paradise Lot, developed by two permaculture designers, Eric Toensmeier and Jonathan Bates. They regenerated a small urban area and actively worked to sequester carbon. Eric and Jonathan bought a tiny duplex on 1/10th of an acre in an urban setting in Massachusetts. Initially, their site was bare, dry and contaminated. Using regenerative permaculture techniques and soil building, the site is now now extremely abundant and fertile. 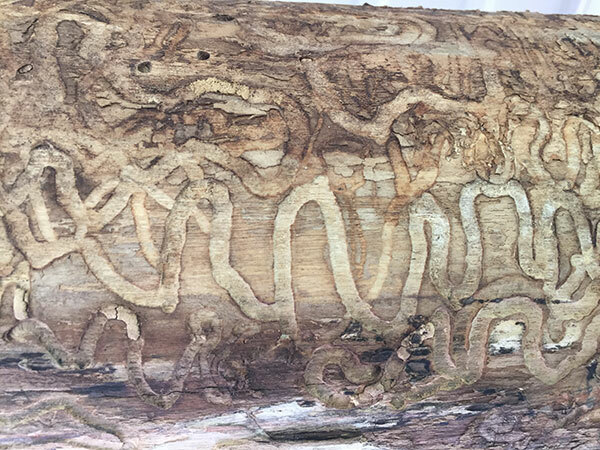 They managed to sequester over 5 tons of carbon over a period of five years (Imagine if everyone sequestered 5 tons of carbon in their back yard rather than produce more from mowing!). 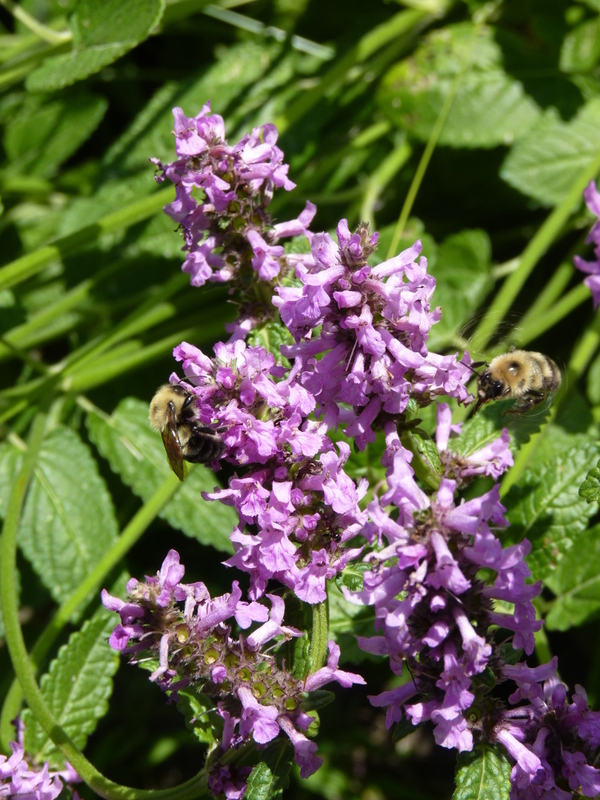 They are producing a variety of yields: food, forage, nectar, good soil, beauty, shade, and more. This was all done using the same principles and ethics of New Forest Farm. Like New Forest Farm, if Eric and Jonathan walked away from Paradise Lot, it would continue to be abundant indefinitely. There are a lot of other sites like Paradise Lot, including one I recently visited as part of my PDC and will be sharing with you in an upcoming post, and my friend Linda’s site in Oxford, MI that I blogged about earlier this year. 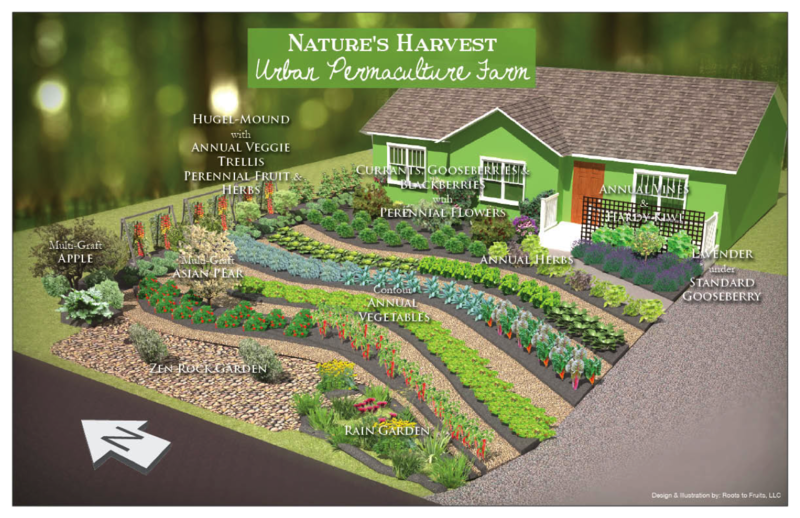 This is a really empowering and wonderful way to integrate permaculture! Community-level design. 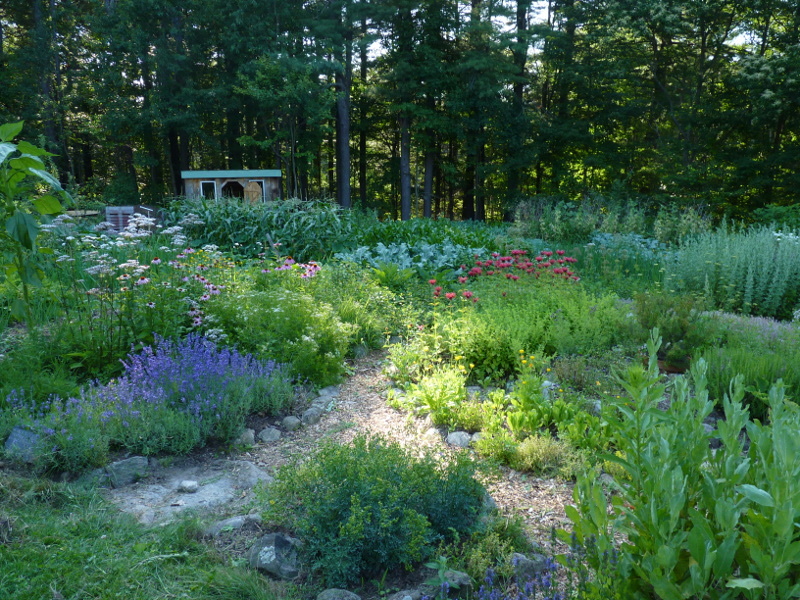 A final example incorporating permaculture principles on a community-wide level was the site of my permaculture design certification course (PDC), Sirius Community near Amherst, Massachusetts. One of the oldest ecovillages in the world, it was modeled after Findhorn in Scotland. 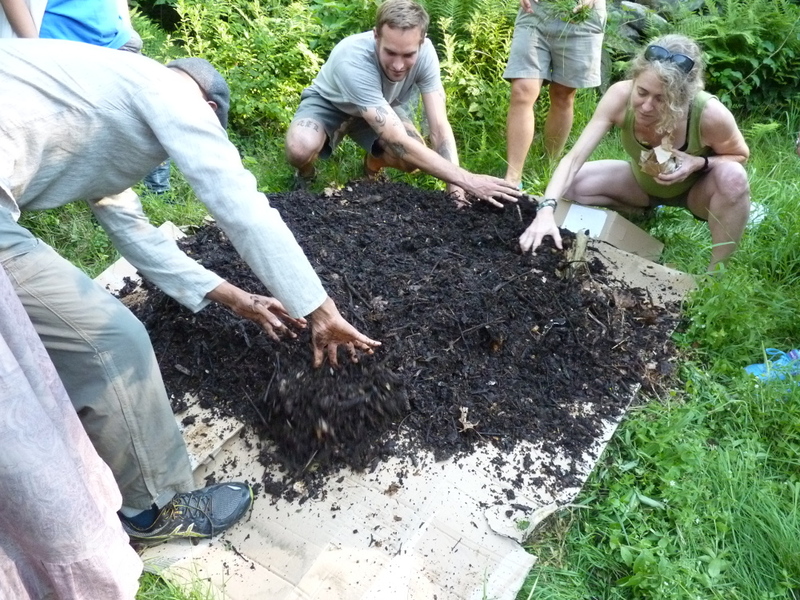 Sirius uses permaculture design in every aspect of their living: earth care, people care, and fair share are woven into daily life almost as much as breathing. They mill their own lumber and use it to build structures that are ecologically sound and innovative: greenhouses, a community center, various residences, and more. They use extensive passive solar and heating designs in these structures—when I was at Sirius, several days were 95 degrees, and while it was sweltering outside, it was quite cool in the buildings due to these smart uses of heat and cool (compare this to my townhouse in PA, where anything about 80 degrees inside is completely insufferable). 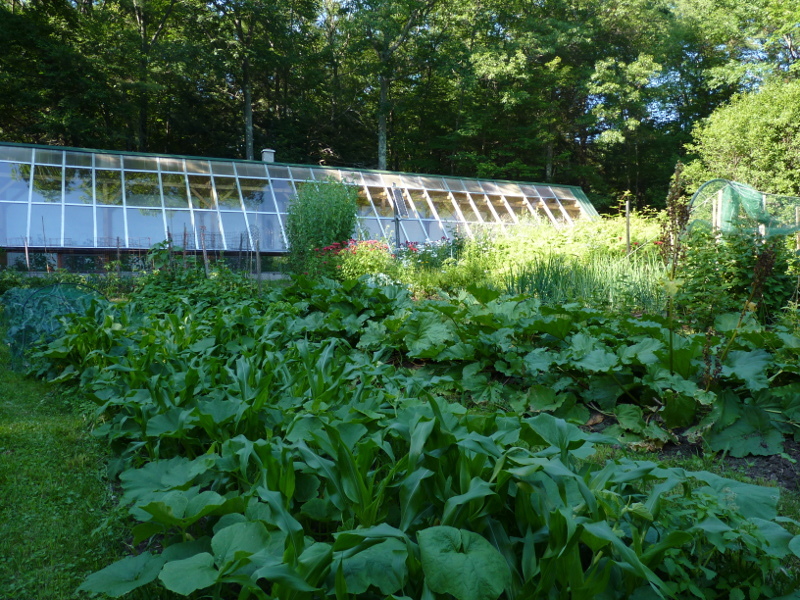 Acres and acres of gardens, including food forests, perennial herbs, and annual vegetables provide a significant amount of the food not only to Sirius’s permanent residents but also to the many guests and visitors (we were fed for two solid weeks from these gardens—a delight!). All waste (including human) is fully incorporated back into the land in some way. Solar, wind, and wood generate much of the power and heating.…I will stop here, as I’m planning a full blog post sharing more about Sirius and detailing more of the incredible things they are doing. But suffice to say, this can be done at a community level, especially from the ground up. If you are interested in seeing more examples of successful sites, the film Inhabit profiles a number of different permaculture sites across the US and the great work so many are doing. One of the greatest challenges we face in the western world is responding to what is happening globally. A lot choose to ignore it, and go on living as though nothing were happening. Others weep and lament, and feel disempowered to change anything—and so they mourn but do little else. Still others try, but feel that what they are doing can’t make a difference. Even if everyone today started practicing permaculture, we are still paying the hefty tolls of over a century of industrialization and those tolls are irrevocably changing our culture and our world. Yet some of those changes, if we design carefully enough, can be very positive—the problem is the solution, as a permaculture principle suggests. At this point, as the earth’s atmosphere has just gone over 400 parts per million of carbon, every ton of carbon that we can put back into the ground matters. Imagine if everyone started sequestering carbon as part of their “lawn care” like Paradise Lot! Every response we can have is a response. And its not just individual—when we engage in actions that show a different path, they are like wildfire—spreading further than we can even imagine. I don’t think anyone knows what the future will bring—but permaculture, for me, helps light my way on that path. It gives me tools and ethics of empowerment to teach the next generation. What it does is give me the power of hope. PS: Look for my post next week, where I show these principles in action on my 5-year homestead project—another success story of a regenerated landscape!